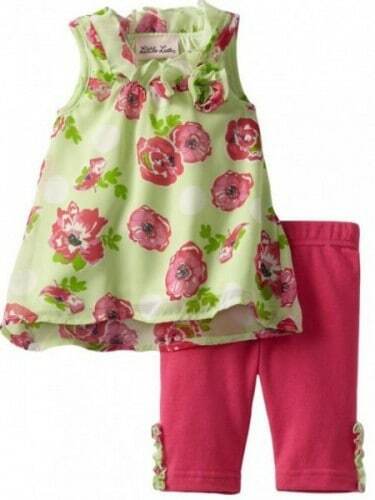 Right now on Amazon you can purchase this ADORABLE Little Lass Baby Girls Infant 2 Piece Floral Chiffon Skimmer Set for ONLY $13.44 (regularly $32.00) and receive FREE Super Saver Shipping when you spend $25.00 or more on qualifying items. I love the delicate look of this chiffon top and the colors are beautiful together. Make sure to get yours before the price goes back up! *As always prices on Amazon are subject to change without notice.